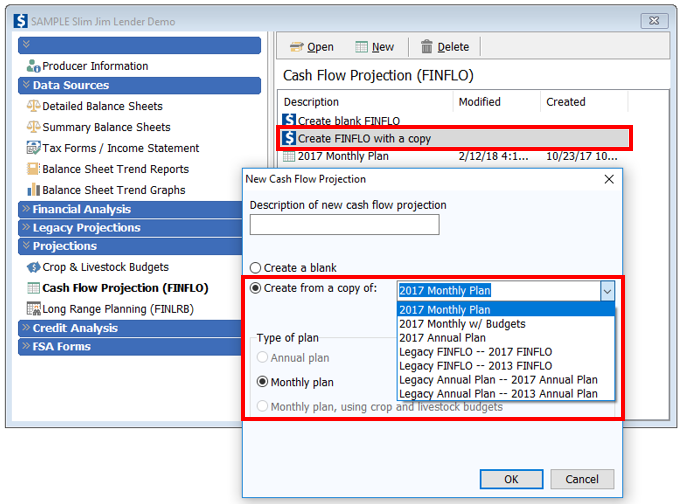 The option to create an annual plan or monthly cash flow plan using the Legacy Projection tools in FINPACK will remain for the next year (or two). No official sunset date has been set at this time. If you are a seasoned user that is very comfortable with the Legacy Projection tools, feel free to continue using them for this renewal season. You may not be aware, but you can copy a Legacy plan into the new Projection tool. This option is available now and will remain in the future. If you want to gain some experience with the changes included in the new Projection tools, copy a Legacy plan into the new tool and give it a try! We at the FINPACK Team think you will enjoy some of the new innovations and functionalities. The Monthly Plan (without budgets) is the tool we think lenders will enjoy using. If you are looking to project peak operating needs and monitor monthly cash flows, but hate the idea of building enterprise budgets, this tool is definitely for you. Remember, the new 3-in-1 Projection tool allows users the option to create an Annual Plan, Monthly Plan, or Monthly Plan with Budgets. When creating a new Cash Flow Projection with the Projection tools you have the ability to start from a scratch or create a copy. You can create a copy of either a Legacy Plan or a new Cash Flow Projection Plan. Simply select “Create FINFLO with a copy” in the Cash Flow Projection tool. Then use the drop down box to select the plan you’d like to copy. You’ll notice in the graphic below, Legacy Plans automatically populate. FINPACK will automatically determine the type of plan (annual, monthly, or monthly with budgets) based on the plan you are copying. You will not be able to copy a plan and change the plan type. Where will my Legacy Projections eventually go? 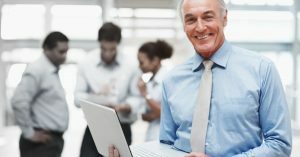 Even when the option to create new Legacy Plans is discontinued, the previously created Legacy Plans in the customer’s FINPACK file will not go away. Any Legacy Plan that has been created will be moved into the new Projection tool. Therefore, these plans will always be viewable and you will always be able to copy them into a new cash flow plan. The ability to create cash flow projections using the Legacy Projection tool will remain for at least the next year. Feel free to continue using this FINPACK tool. As you have time, try out the new 3-in-1 Projection tool. Many new features of these projection tools have come at the request of lenders. A previously created Legacy Projection won’t ever be erased from a customer file, they will remain in the file and can be copied into the new Projection tool.